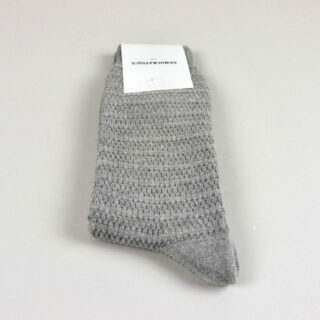 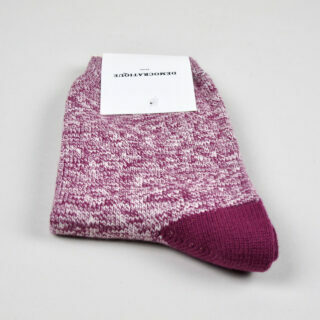 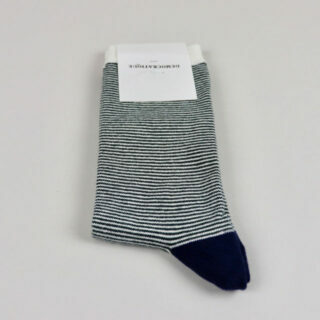 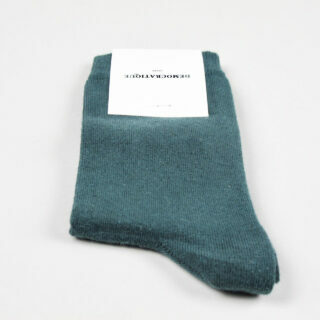 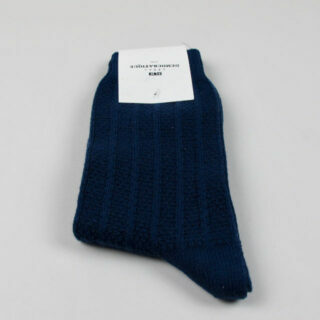 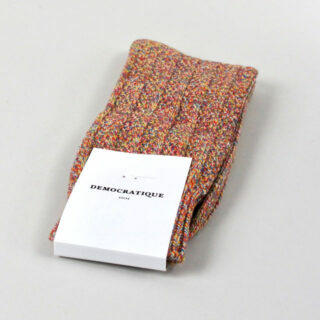 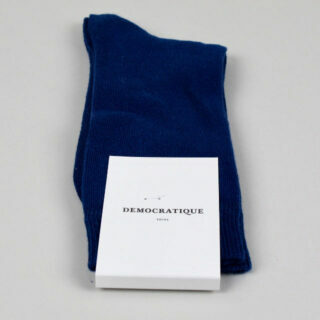 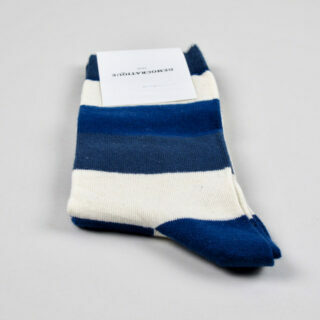 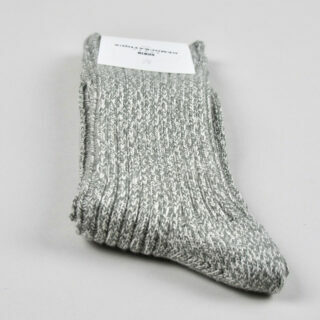 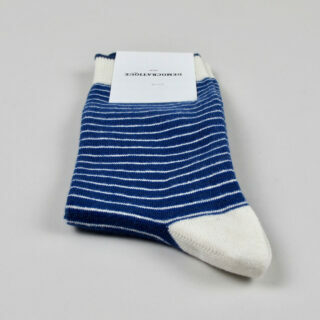 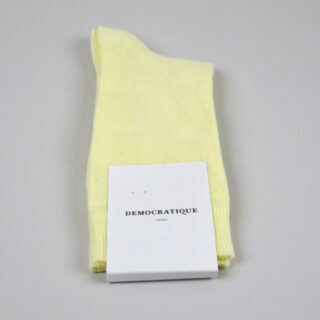 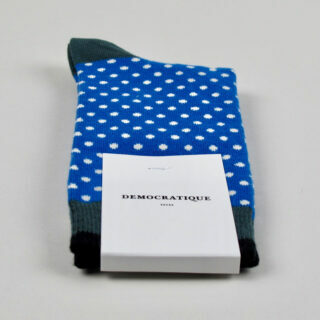 These women’s socks are by the Danish sock brand Democratique. 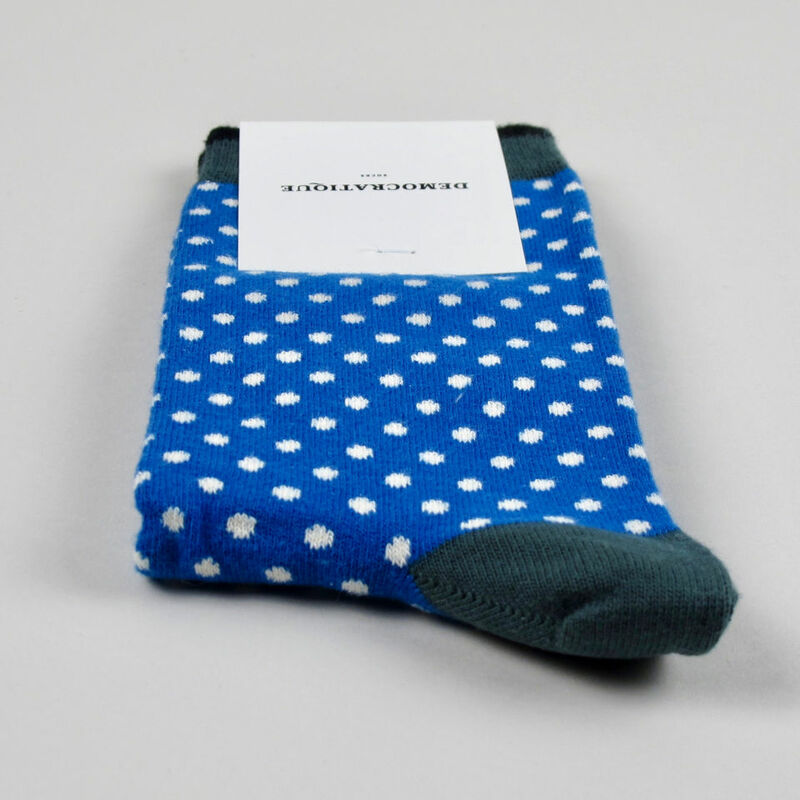 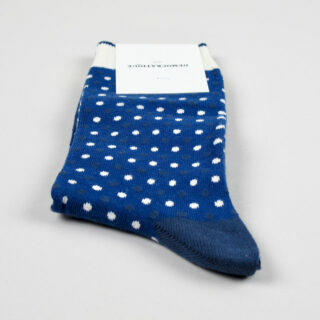 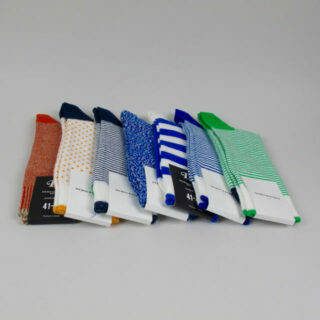 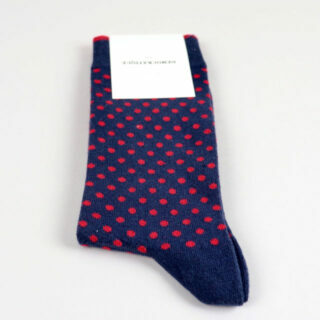 They sock is made up of polka dots in off white on a blue background with the heel of the sock in for(r)est green. 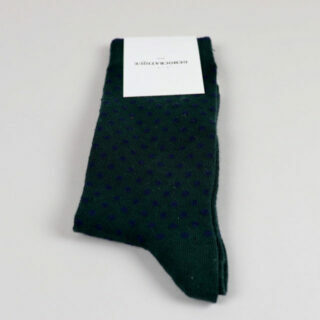 Made to fit a broad range of men’s feet sizing – 41-46 equates to 7.5 – 11.5 in UK sizes.